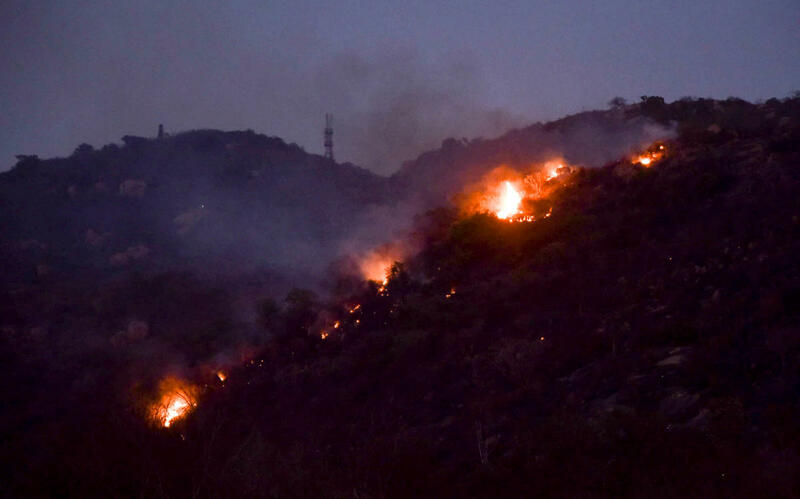 Vegetation over hundreds of acres of forest was destroyed as major fire broke out on Chamundi Hill here on Friday. 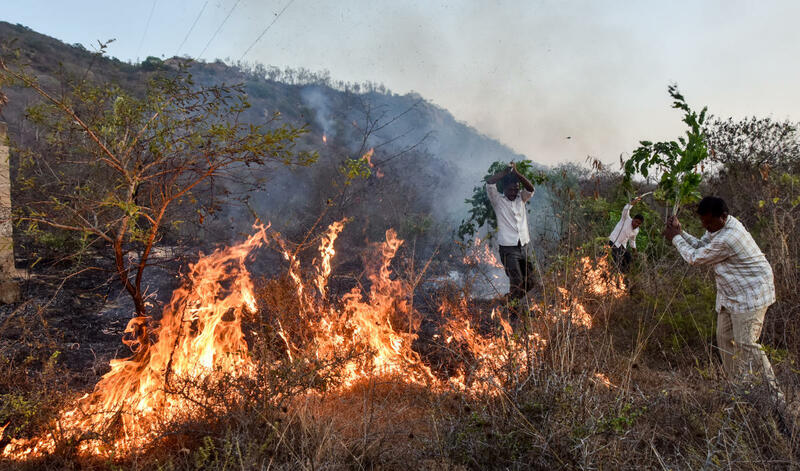 The fire broke out around 4 pm near Gavimutt, while a team of over hundred firemen and four fire tenders battled till late evening to douse the fire. Cause for the mishap is yet to be ascertained. According to the Fire Department officials, the fire could not be controlled immediately due to heavy winds. Panic gripped the area as residents feared that leopards might enter human habitats as a few leopards stay in and around Chamundi Hill forests.